New model For iPad mini 4 genuine leather ! US Stock ! Fits iPad Air 2. Protects All Sides of Your iPad Air 2. Apple Product Accessories. Smart Case has full coverage that protects the back as well as the screen. Let's Get on the Party Ride. Smart Cover has wake on open, sleep on close technology and doubles as a keyboard stand. Note: does have the scent of incense, has a cup ring impression on the front & minor surface scratches throughout. 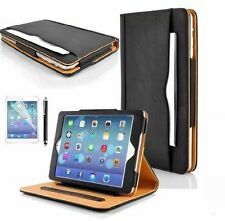 Genuine Apple iPad Air2 Leather Smart Case / Cover. Midnight Blue. I am easy to work with as long as you communicate. Trending at $31.49eBay determines this price through a machine learned model of the product's sale prices within the last 90 days. Trending at $16.73eBay determines this price through a machine learned model of the product's sale prices within the last 90 days. 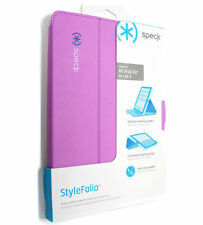 Easy to snap onto your iPad 2 for long lasting protection. 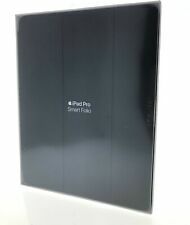 Access all of the iPad 2's features without taking off the case. For New iPad 9.7 2018 6th Generation Ultra Slim Leather Smart Case Cover Stand. iPad 6th Generation 2018 ( A1893, A1954). iPad 5th Generation 2017 ( A1822, A1823). 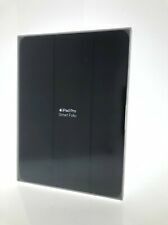 1x iPad 9.7 5/6th Gen Smart Case Cover. Trending at $54.98eBay determines this price through a machine learned model of the product's sale prices within the last 90 days. Auto sleep on and wake up function, save power for your device. This iPad case fits iPad 2, 3, and 4. I got this iPad case from a trade show. Case is never used. 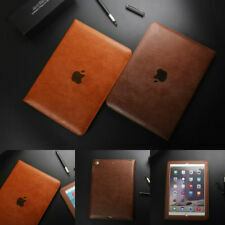 Photos show an iPad 3 in the leather iPad case. A1673! A1674! A1675!OVER Eight Hundreds Have Been Sold! This is a used iPad Air Smart Case, looks to be genuine leather. Inside the case is stated "Designed by Apple in California, Assembled in China.". Has apple emblem or logo on back. 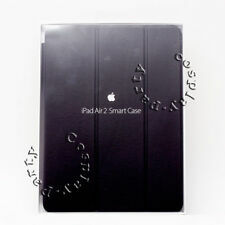 Case fix iPad mini 1,2,3. ItemApple Leather Smart Case for iPad Air 2 - Midnight Blue. Other InfoThis case is stained on the bottom front right side as shown in the pictures, this does not affect the use of this case it still works as it should. 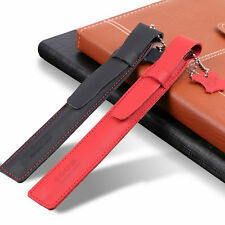 Genuine Leather Slim Stand Cover Case For Apple iPad 234 mini Pro 12.9'' 9.7"